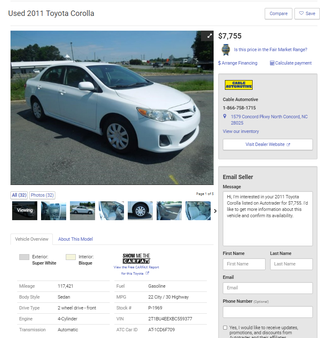 Prepare to bask in the magnificence of the 2011 Corolla. Yeah, it’s done 3 times the miles the 3 series had done when I got it, but it’s less than half of what I paid for my 3 series. Plus with the white paint and wonderfulbeige interior, I would be a lot cooler in the summer time. Plus with the automagic transmission, my left leg would never again tire in traffic. Just bask in the magnificence of the cockpit. Plus with the 2ZR-FE under the hood, I would have much cheap maintenance costs. I also love the style 359s. If I didn’t owe so much on the E92, I might be tempted to trade it in and DD something like this, now that my commute is less than a third of what it used to be. Why would I want two M3s? Because reasons.